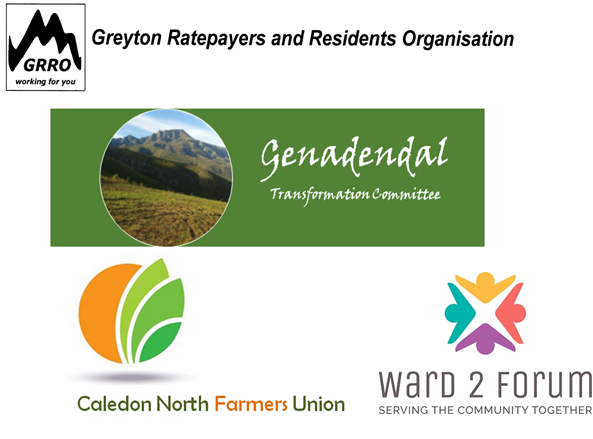 With the spate of recent violent protest actions in some of the towns in TWK a group of concerned organisations is calling a public meeting to share information to residents of Ward 2. Implications of the proposed new Budget for the 2020/21 financial year and the subsequent 2 years thereafter. Renew & Obtain further mandate to jointly address the issues raised.